OrbicularisOculi: Preparing for battle II of the ryans world. Preparing for battle II of the ryans world. The first battle was a nice and good start on a campaign. And now it's time to prepare for the next battle. This time it's a mission were your army only can include troops. 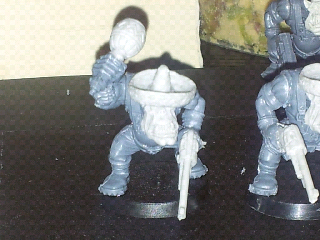 And a 750 pts worth of them. 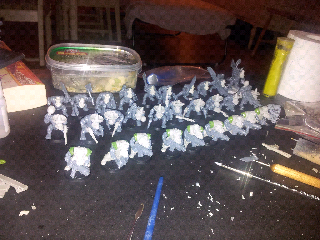 A problem with it, is that i only have two squads of ork boys. So last night i got down i my bitbox and got the box with kromlech and pupetswars bits. Awesome! Like always when you do stuff, you did it in the speed of light. Nicklaas, you gonna roll with five units of trukkboyz?